Located immediately adjacent to the Cairns Central Business District and with approximately one kilometre of prime water frontage, is Cityport. A major urban revitalisation project which is an initiative of Ports North, delivers an attractive, innovative and safe waterfront precinct that combines world-class marine, tourism, commercial and residential components. 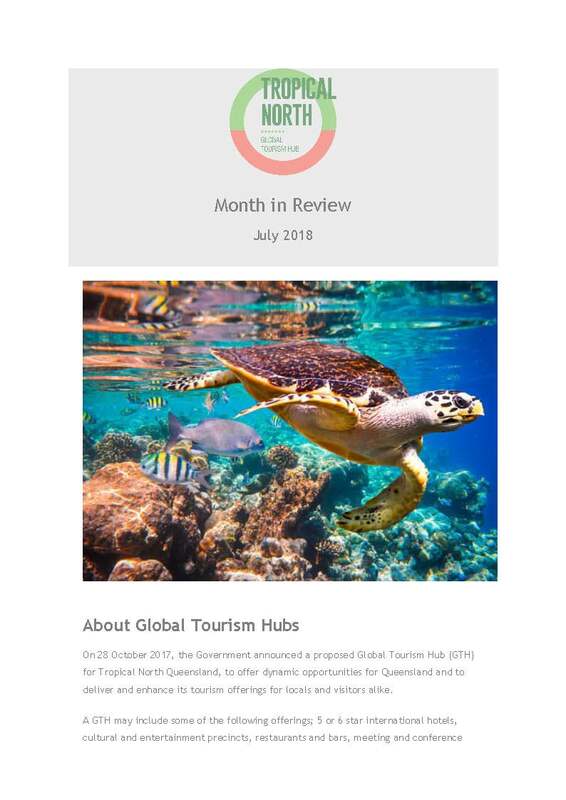 Ports North is partnering with the Queensland Government to develop a proposed Tropical North Global Tourism Hub in Cairns, bringing a dynamic new tourism opportunity for Tropical North Queensland and international tourists. The preferred site for the development is on Port North's strategic port land within the Cityport precinct at Wharf Street, Cairns. It comprises of a total area of approximately 4.85 hectares, across two sites. Under the State’s guidelines, any new development will only be considered within a 70km radius of Cairns. Cityport is a long-established waterfront urban revitalisation project on the eastern side of the Cairns city centre. The strategic waterfront location, scale and significant redevelopment capacity of Cityport continues to transform the Cairns CBD, offering unprecedented opportunities to stimulate the south-eastern edge of the city centre as a tourism, accommodation and entertainment destination for Cairns and the Asia-Pacific region. Existing successful developments within Cityport include Cairns Marlin Marina, Shangri La Hotel, Reef Fleet Terminal, Cairns Harbour Lights Apartment Hotel, Hilton International Hotel, Cairns Cruise Liner Terminal and Heritage Listed Wharf Shed 2. The Tropical North Global Tourism Hub will be an extension of Port’s North vision for Cityport - developed in close consultation with the Cairns community over the past 10 years - delivering even greater benefits for the community and region ahead of the original timeline. A key objective is to protect and support growth of the Port of Cairns. The proposed waterfront area is fully contained within the existing footprint of Cityport on land owned by Ports North. Ports North’s involvement in the Tropical North Global Tourism Hub is consistent with our critical role in advancing tourism and regional economic development in the region.